Written by Georg Holzmann on Oct. 22, 2015 in Development, News. We are happy to release version 1.6 of the Auphonic Leveler Batch Processor and version 1.2 of the Auphonic Multitrack Processor with new features and bug fixes for Mac and Windows (see Changelog below). Written by Georg Holzmann on May 13, 2014 in Audio, News. Last week we presented our new multitrack algorithms at the Podlove Podcaster Workshop in Berlin. 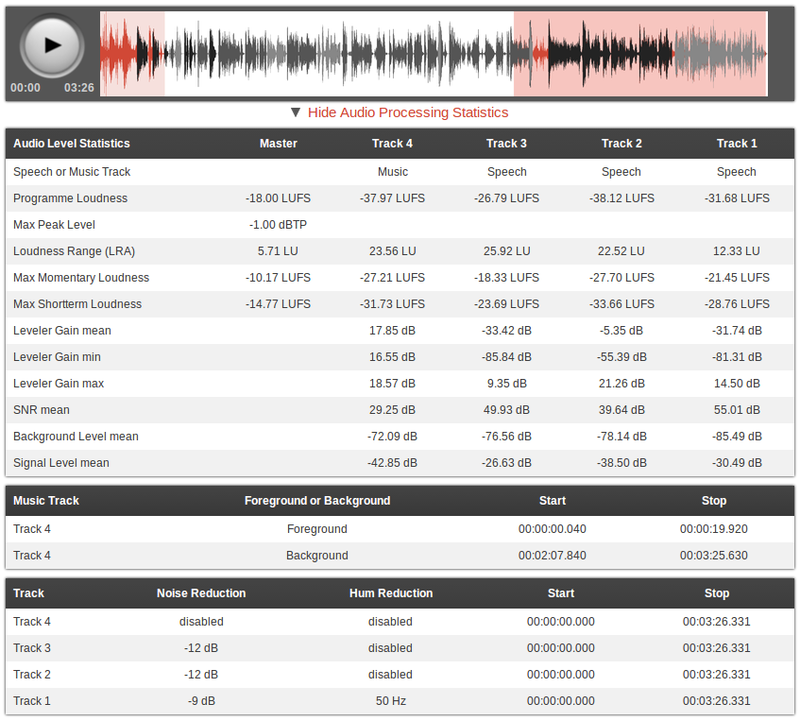 Lot's of users asked us about a multitrack version of our system before - now it's here and can be used!